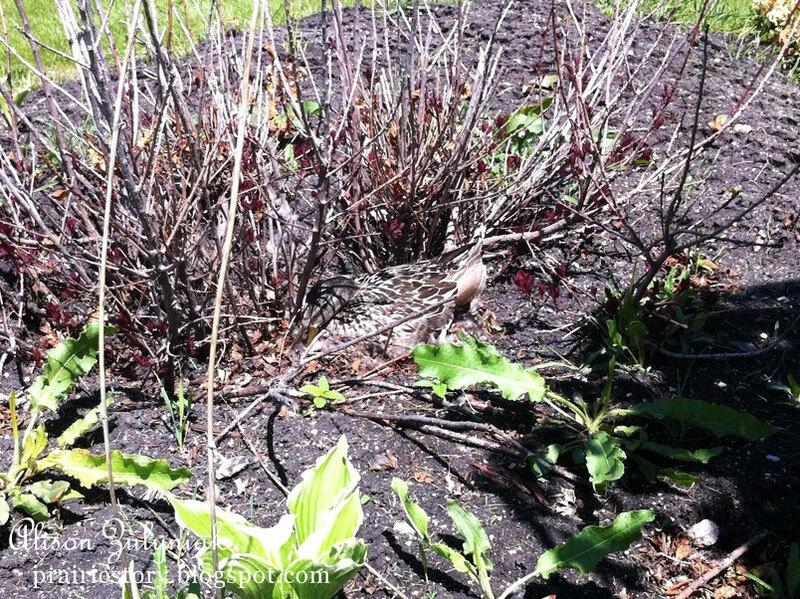 The other day as I started to weed and till one of my flower beds, I suddenly noticed this Mama Duck nestled in my burning bush! She has made a nest there and hasn't moved from her eggs since. She is well camouflaged, but can you see her in the middle of the photo? 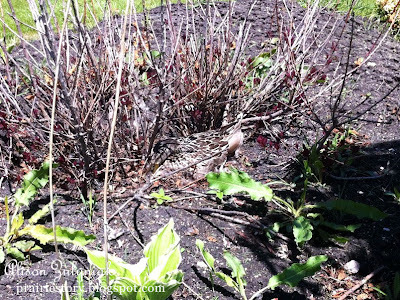 Needless to say I've ceased the weeding and tilling of this bed until her little ducklings hatch. We can't wait to see them! I cannot wait for the picture updates. How sweet.